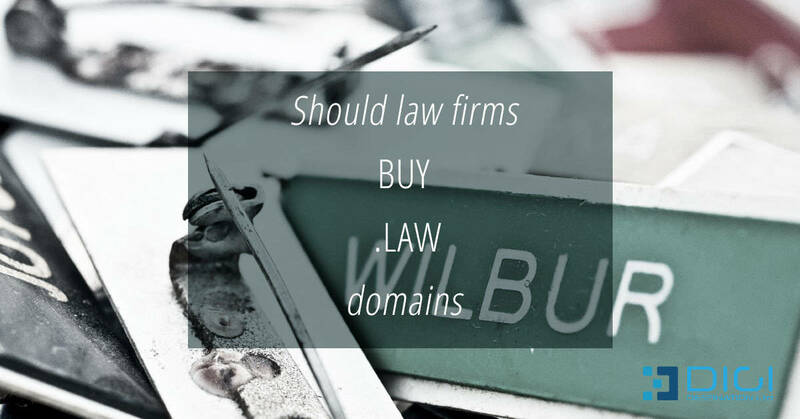 Home » Web Strategy for Legal Companies » Should law firms buy .law domains? The .law domain extension is expected to become available soon for sale, targeting law firms and attorneys. The question is: Is a good idea to purchase and use such domain? Of course things got pretty scarce and the dot.com TLD were the prime rib of domain purchases. This is where the theory of supply and demand started to apply again and domain names like these started to grow in popularity vastly. This in turn encouraged the introduction of other domain names as well like for example: .info, .me, .edu. and even .mobi for mobile devices. So what’s the fuss on using the .law domain extension? As this .law hasn’t been yet introduced, there is no currently evidence to suggest any benefits from its use other than just speculations. For an instance, many will instantly think that a .law domain extension will make people and search engines recognize you more easily that you are a law firm. That is a good point, but if we analyze Google’s official practices TLDs like these are neutral and not a sole reason to improve you search engine rank. Perhaps people might recognize you more as a law firm but when it comes to SEO, there is none evidence so far to back-up any SEO benefit coming from using this domain name. Similar TLDs like .lawyer and .attorneys may have worked for some companies before but again, just having a TLD like this won’t likely get you any benefit on its own. And if you are wondering whether you should transfer you old.com domain name for a .law extension, again there is no current evidence that it will benefit you. Only engaging in legit and white-hat SEO techniques and no fast tricks and gimmicks that will get you penalized by Google and search engines. For now, you can keep the worry of choosing a domain extension like .law at bay as we have yet to find out how and if it actually works in SEO terms.